Sited and within an hour the kettle is on. 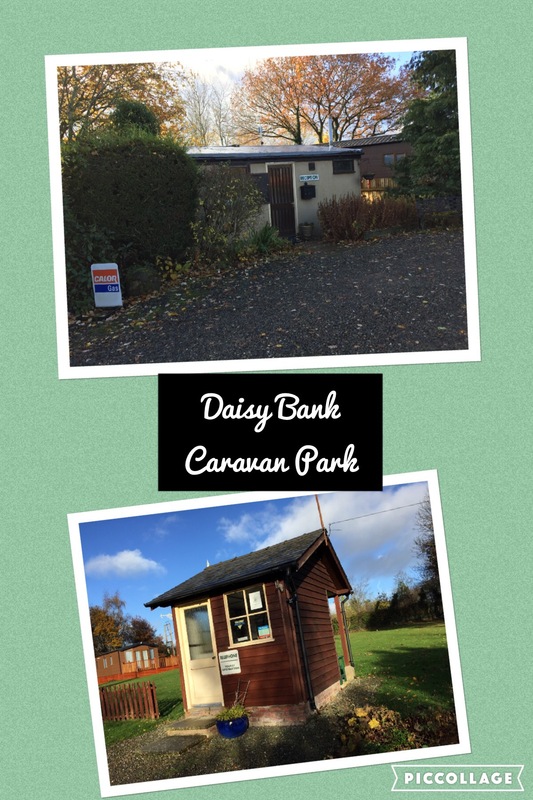 Daisy Bank Caravan Park is a lovely adult only site, just inside the Welsh Border. We chose a pitch looking out onto the Kerry Ridgeway. We haven’t holidayed in Wales for at least 12 years. The last time we were here we stayed on a beautiful camp site in a big frame tent with 2 youngish children. I say the site was beautiful, it could have been awful for what we saw of it. We drove in and the mist and drizzle descended and stayed for the duration of the holiday. Leaving Wales on that trip as we crossed back into England The Boss vowed that we would never step foot in Wales again. True to form he has stuck to his word up until this last year when work dictated that he must visit approximately 4 times a week, so sheepishly (no pun intended) he had to go back. Daisy Bank came highly recommended and we decided to give Wales a second chance. 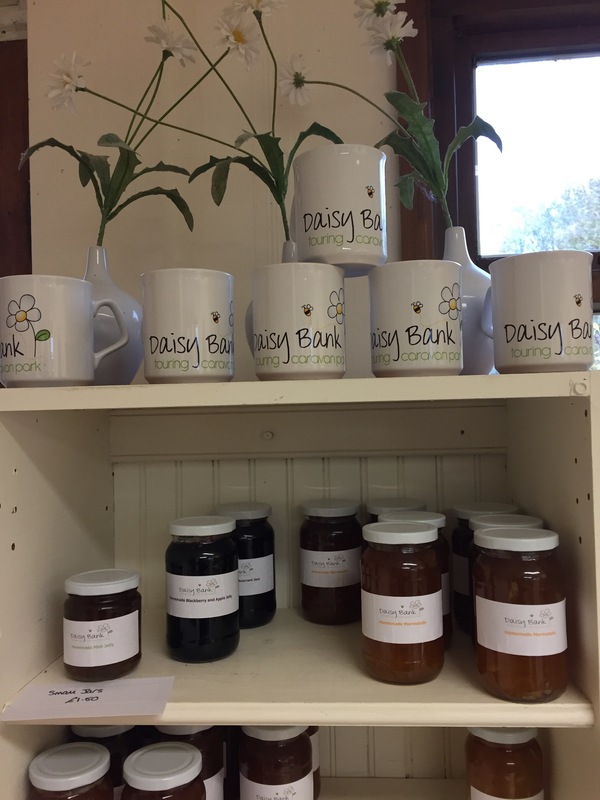 Daisy Bank is a family run, dog friendly, adult only site covering approximately 7 acres. Each pitch is well spaced with most offering fantastic views out across the valley towards The Kerry Ridgeway. 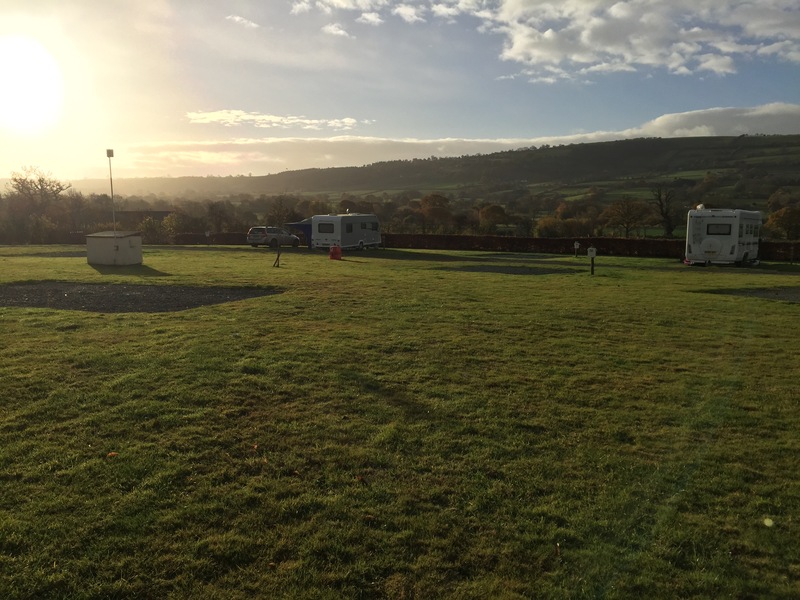 With seasonal and touring pitches the site is open all year round. Your hosts for your time here are Nicky and Mark who couldn’t be more helpful. The reception/on site shop should’ve given us a clue about the forth coming weather. They sell a variety of essentials, delicious looking homemade cakes and jams, and storm straps! 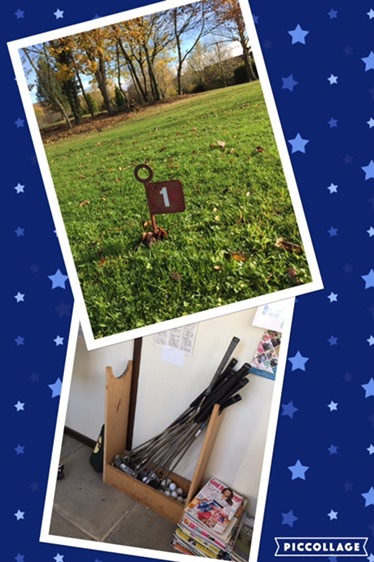 Behind the tourist information hut is mini golf course with free to use clubs and golf balls within the information hut. A bit cold and wet on our visit for knocking a few balls about though unfortunately, in better weather though I may have shown The Boss that golf is in my genes – cue my Dad and sister laughing! 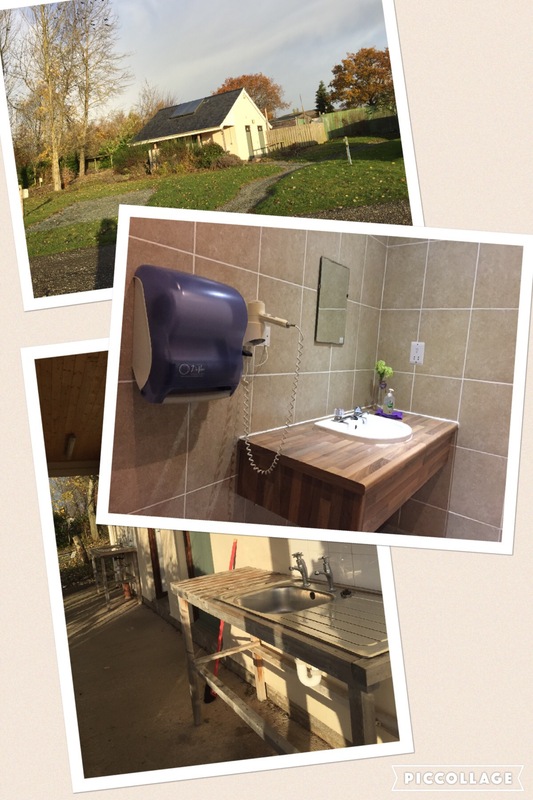 The facilities are second to none with individual wet rooms, complete with toilet, shower, hand basin, flowers and hairdryers. Each block has outdoor dishwashing facilities with a laundry in the bigger block. Wandering around the site all is peaceful with panoramic views. We visited in November and apart from a few seasonal pitches we almost had the place to ourselves. Thursday morning and true to form it’s still raining. Our friend Dan, Meet the Trudgians, provided an apt Welsh saying “When you can see the hills, it’s going to rain; When you can’t see the hills, it is raining”. What we weren’t prepared for was the Tornado which came across from Aberystwyth and probably right over our van. One minute we were sitting drinking coffee watching the clouds drift past, then next minute our canopy lifted its legs (held down by six guy ropes) three foot off the ground. The legs spat across the pitch leaving the canopy to freestyle it with great panache, at the same moment The Boss has now redecorated the caravan with the coffee he spat out in his Heroic (in his mind) attempt to get outside and do something. Like a true hero his first action was to shout for my help, we are now both barefoot on stones, hanging on to a heavy, wet, flapping canopy in a 90mph tornado. Then “WWHHHAAAAAAPPPPP!! !” the canopy delivered me a slap to the face that The Boss said sounded like the slap he frequently dreams of giving but knows he would never dare. Now, the reason we think the tornado came over our van, as we are storm chasers extraordinaire, was that the wind completely stopped for about one minute, a minute in which we quickly pulled the canopy down – then – bang, it was back to 90mph again, we just stuffed the canopy under the caravan and retreated inside to provide XXkg of ballast holding our caravan onto Wales.